UNIR contributes to many national and international organisms related to TEL (Technology-enhanced Learning). Miembro de la Junta Directiva The Association for the development of educational computing (ADIE) aims to foster Educational Computing and promote the training of persons in the field of TEL. 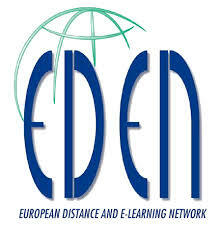 Participante EDEN(European Distance and E-Learning Network) aims at sharing knowledge and improving understanding amongst professionals in distance and e-learning, as well as promoting policy and practice across Europe and beyond. organising the European community of quality professionals in the field of education, training and learning. Participant ICDE (International Council for Open and Distance Education) is one of the most important global membership organizations for open, distance, flexible and online education, including e-learning, and draws its membership from institutions, educational authorities, commercial actors, and individuals. Participant IIE (Institute of International Education) fosters mutual understanding, develops global leaders, and protects academic freedom worldwide through educational exchange and training programs that advance the vision of Opening Minds to the World®. Participant NMC (New Media Consortium) is an international community of experts in educational technology. The role of NMC is to help hundreds of member universities, colleges, museums, and organizations drive innovation across their campuses. Open Education Consortium is a global network of educational institutions, individuals and organizations that support an approach to education based on openness, including collaboration, innovation and collective development and use of open educational materials. The Open Education Consortium is a non-profit, social benefit organization registered in the United States and operating worldwide. Institución Asociada y Miembro de la Junta Directiva MENON Network is a European innovation and research network providing information and advice to policymakers, education communities, and the ICT industry on issues related to innovation and changes in Education and Training, Lifelong Learning and Knowledge Society developments in Europe and worldwide. Director Científico SCIENTER CID is a Consulting, Research and Services Company, founded in 1999. It has broad experience in the design, management, development and evaluation of several European, national and regional R&D Projects at the service of public and private institutions in Europe and Latin America. Participante SNOLA is a Spanish special interest group in Learning Analytics. The focus of the group is to create a network of researchers and developers interested on the field at Spanish level, creating synergies and promoting related initiatives. It also aims to connect the Spanish level initiatives with other interest groups in other regions. 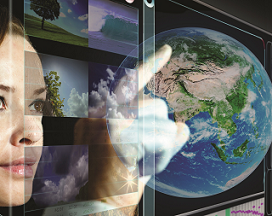 Contribute to the shaping of scientific evolution of technology enhanced learning. Participant Participante RedeTELGalicia is a network about e-Learning in Galicia involving several research groups (both from Galicia and from other parts of Europe) interested in the application of new Information and Communication Technologies (ICTs) and pedagogies in education, particularly focused on K-12 education (primary and secondary education). The main goal of RedeTELGalicia is to contribute to the improvement of teaching and learning throught innovation by adopting new pedagogies and technologies. Promoting Spanish e-Learning in the main national and international organisms.